In a back room of the Rochester Public Library’s Local History & Genealogy Division on the 2nd floor of the Rundel Memorial Building are over 80 boxes and 43 three or four drawer file cabinets stuffed full of newspaper clippings from the Democrat and Chronicle and the now-gone Times-Union dating back to at least 1904. 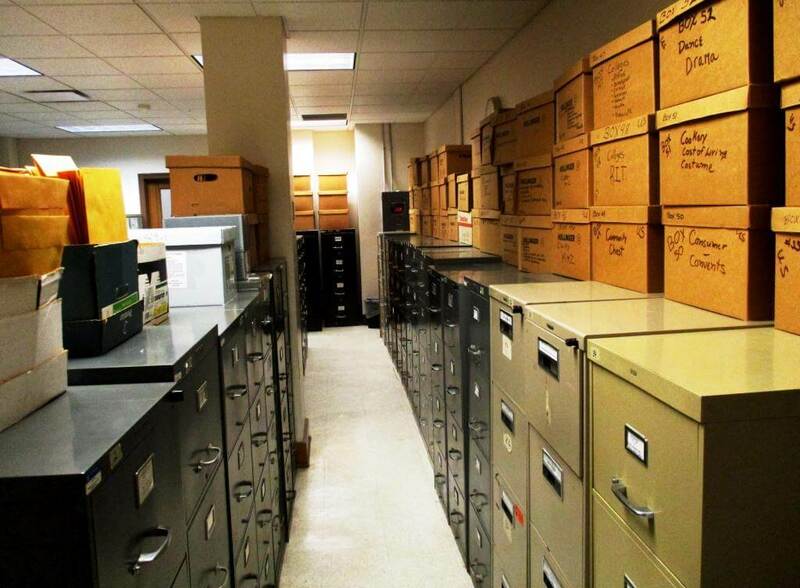 Although this curated collection ceased adding new material in 2012, the massive historical repository — estimated at between 3 – 7 million items — is a treasure trove for researchers of all stripes, including genealogists tracking down hard to find family information. The history of the archive and its collection practices over time are not well documented. 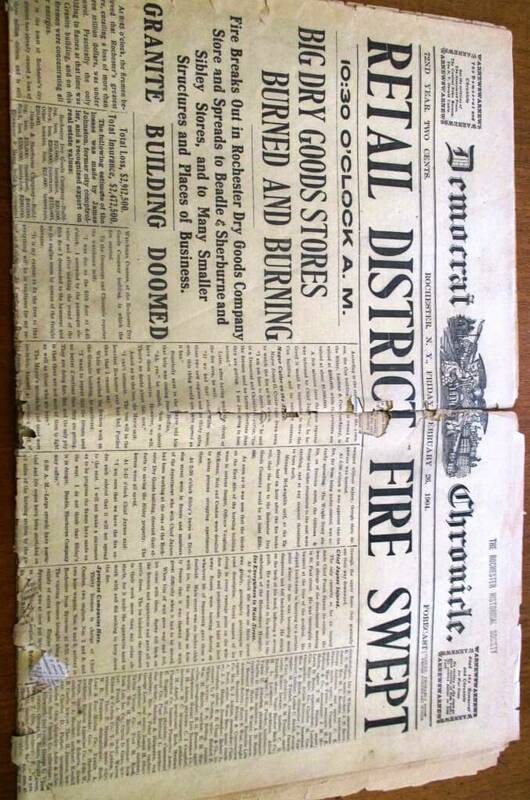 We know the collection became steadily accumulated and standardized after the opening of Rundel in 1932, although articles on subjects like aeronautics date from the 1920s and a full paper on the Sibley Building fire is brittle but fully legible. Based on observed volume, the heyday of the collection was probably the 1950s. 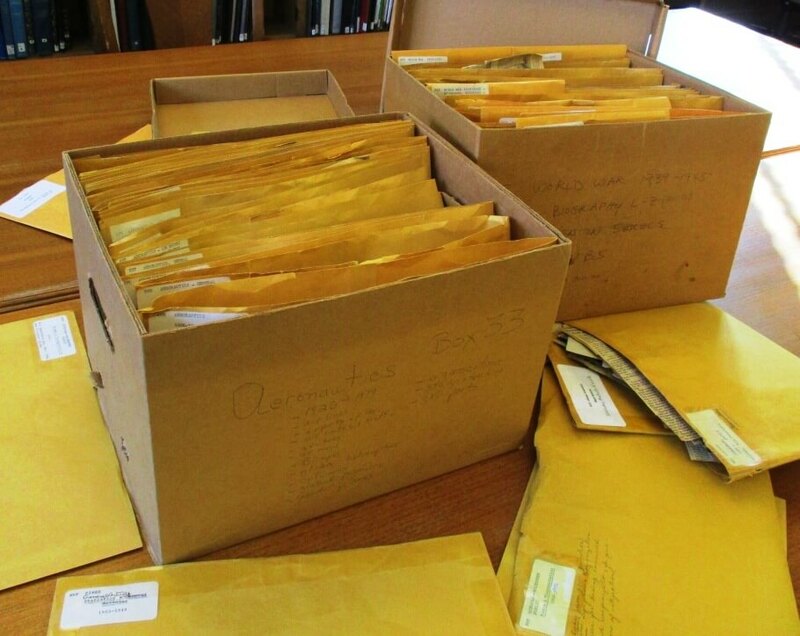 All day long, perhaps 3 or 4 libraries, clerks and pages clipped, stamped, stapled and sorted articles, filling bulging envelopes eventually moved to specified boxes and cabinets. Most likely, librarians with research expertise selected articles deemed significant, assigning each to preexisting topics or creating new topics. Just part of the collection. 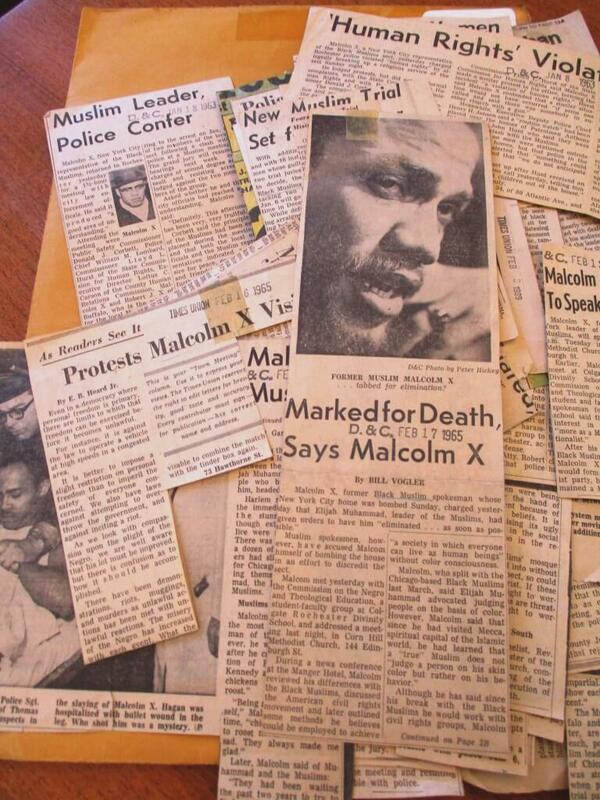 In 2012, the last clippings were added to the physical archive. Funding priorities changed as resources were increasingly allocated to digital storage and retrieval of information. Nonetheless, the accumulated pieces continue to be an invaluable research tool. For example, while the Democrat and Chronicle archives are now digitalized, searching broad topics inundates users with thousands and thousands of mostly irrelevant data. Already grouped by subjects and sub-subjects, the clippings collection yields a much more efficient zeroing in on the topic. Furthermore, digitalized searches of the Times-Union are not readily available, saving innumerable hours toiling away on the microfilm reader. Moreover — as with all archives — the collection yields insights into the social and historical context of the clippers themselves. The bulging and ever increasing palimpsest-like envelopes — up until 2012, of course — reveal the changing values and biases of successive generations of librarians, each deciding what is worth saving. Since the digitalization of the D & C, I use the collection less frequently. Nonetheless, when returning to some of my old clipping stomping grounds, I learned anew. The clipping was still there. Shifting through the mass of articles, I realized how much more I could have added to the article. 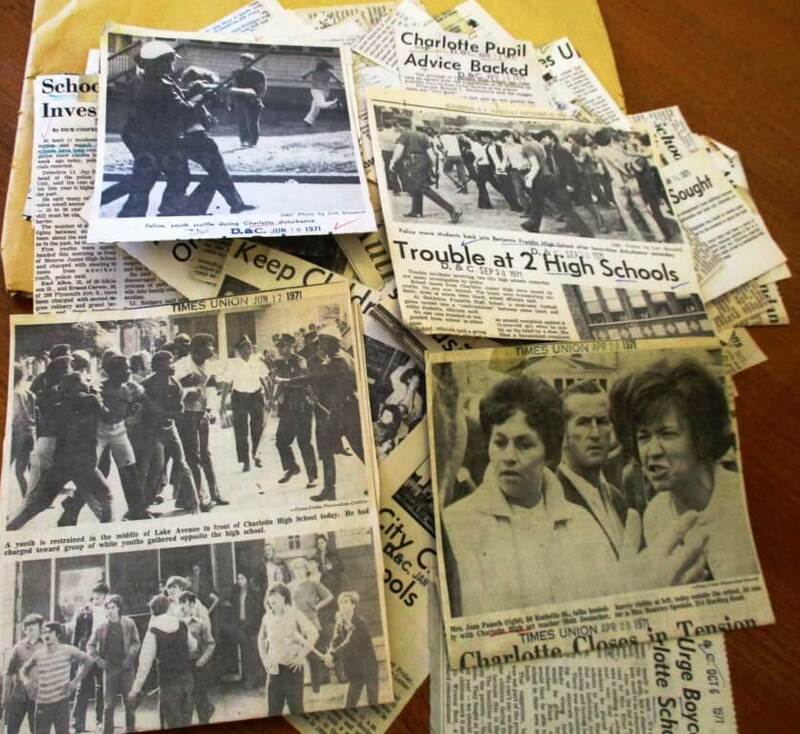 In Reflecting on the RCSD’s most tumultuous year, 1971 examines the racial disturbances in the RCSD during the year when Rochester attempted mandatory busing. Upon returning, I found several powerful images overlooked on the first visit. November 1st, 1984: Ronald Reagan five days before his 49 state landslide. And Jesse Jackson at MCC. And a liberal enclave. describes the simultaneous visits of President Reagan and Jesse Jackson. 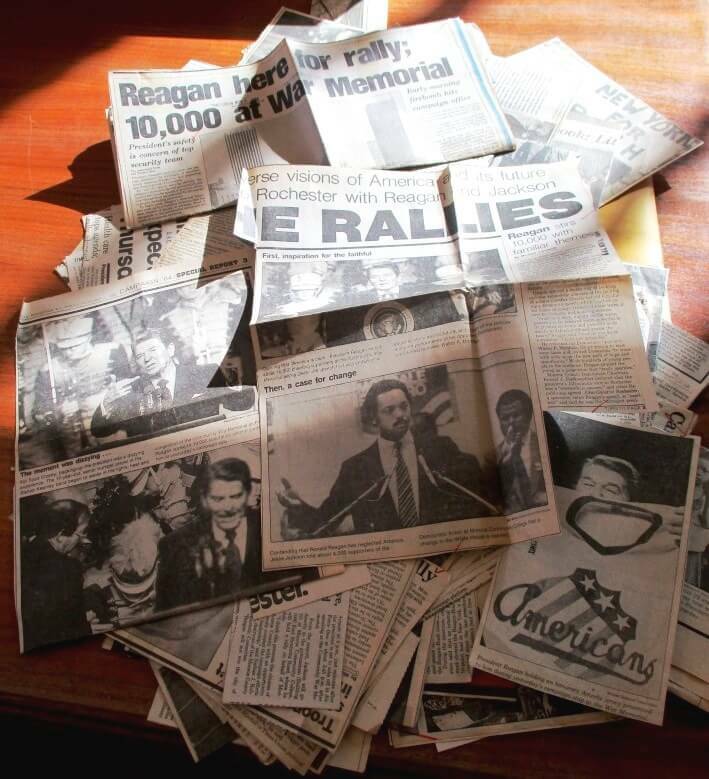 See November 1st, 1984: Ronald Reagan five days before his 49 state landslide. And Jesse Jackson at MCC. And a liberal enclave. And there were the clippings, the ones scanned for me courtesy of Rochester Public Library’s Local History & Genealogy Division on the 2nd floor of the Rundel Memorial Building. Kitty Jospé provides noon nourishment for the mind at Rundel. Rochester boasts one of the largest LGBTQ libraries in the nation.